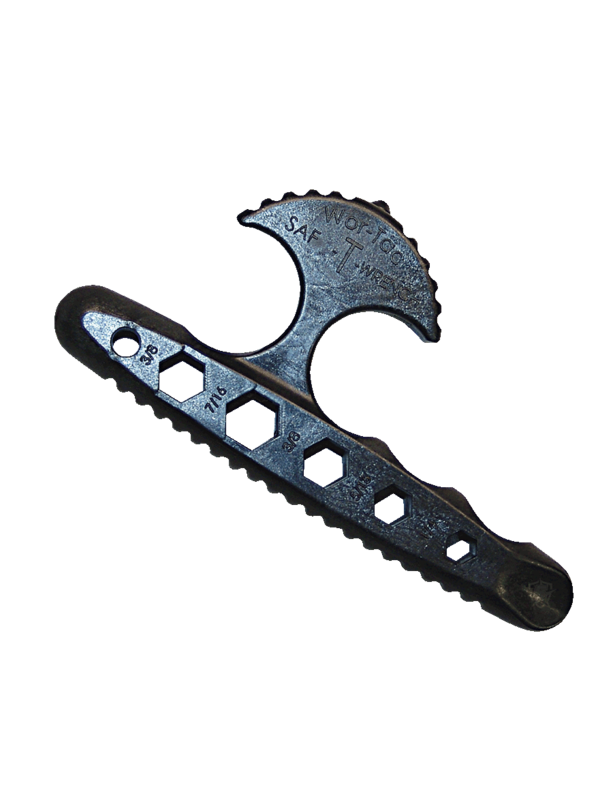 The Defense Wrench is designed as a more pocket-friendly self-defense tool. This device offers three distinct defensive impact striking surfaces engineered to generate maximum power with minimal effort. When properly utilized, defensive strikes, locks, and control tactics can be easily implemented. The Defense Wrench can be used as a key tote and offers actual hex-head socket holes within the body of the tool for 1/4", 5/16", 3/8", and 7/16" nut removing capabilities.